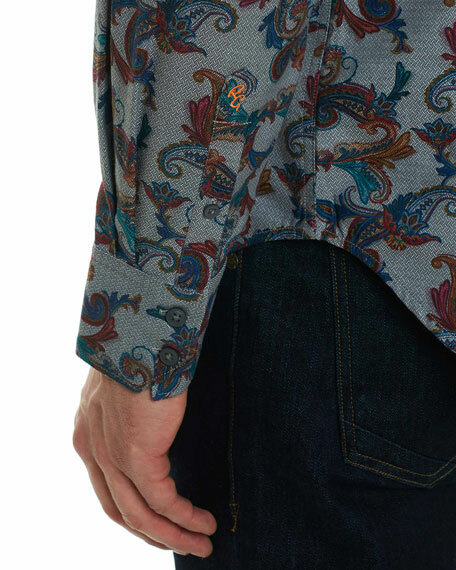 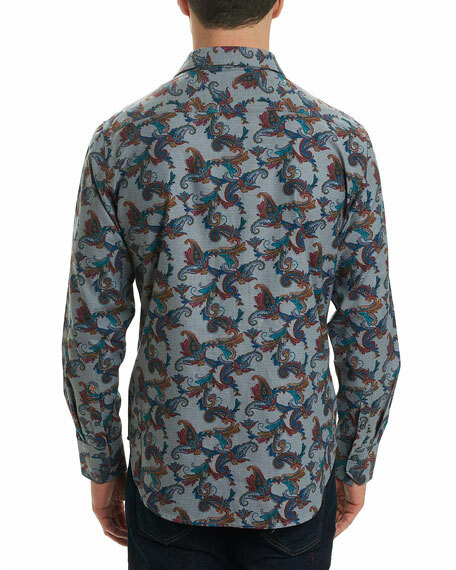 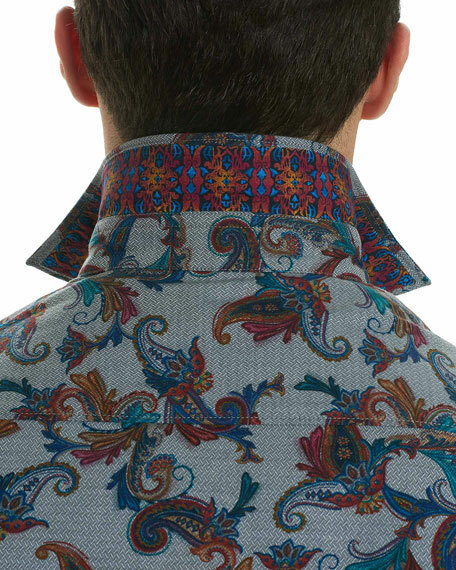 Robert Graham "Massif" sport shirt in scroll print. 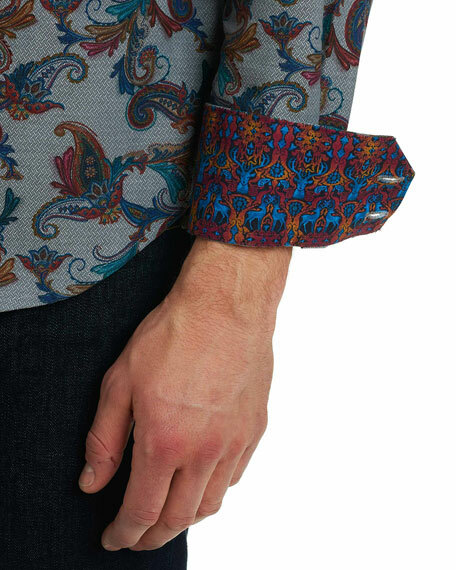 Barrel cuffs with contrast reverse. 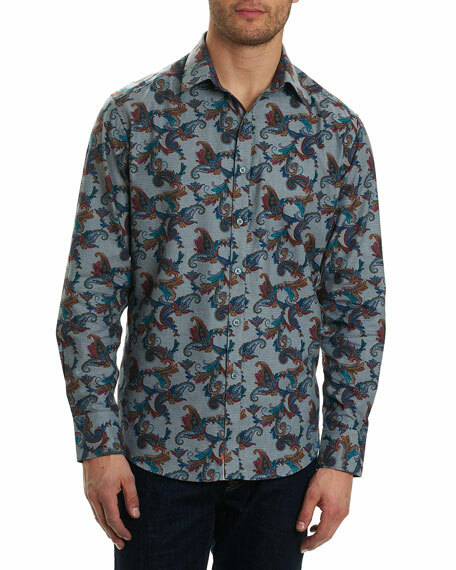 For in-store inquiries, use sku #2435998.